You’re only as strong as your marketing plan – it’s the difference between where you are now and where you want to be in a year’s time. Everything you want to achieve can be outlined in your marketing plan – the exhibitions you want to attend, and the marketing lead up to this, themes for your social media planning and the amount of business you want to see increase. So how do you go about building a marketing plan, and why is it so crucial? 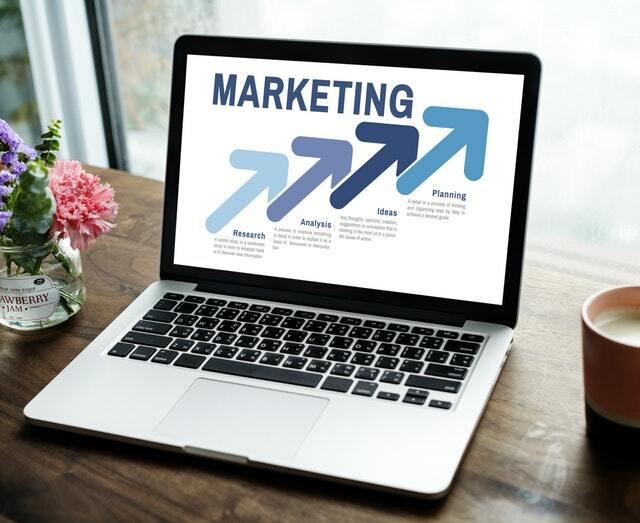 The first step and key benefit of a marketing plan is that it allows you to take a step back and assess the way your marketing is currently performing. In doing so, you’re able to pinpoint marketing areas that need improvement, and identify strategies that seem to be working for you as they are. Without knowing what’s currently an issue within your business, you won’t know what needs changing, or how to measure that you’re achieving these. Once you’ve assessed the areas in your marketing strategy that need to improve, you can outline the main things you want to achieve from this. For example, if you know your exhibition posts don’t get a lot of engagement on social media, your goal could be ‘double the engagement on exhibition posts on Twitter and Facebook by December 2019’. You would then aim to measure this by noting how much increased engagement you gain per week or month and set your strategy (to be discussed shortly) to meet these goals. Focus on no more than 3-5 goals to avoid overwhelming yourself and diffusing your energy away from the main aim of revenue growth, and make sure you have research to back up the validity and possibility of your goals. Running a competition on Facebook monthly and announcing this and the results on Facebook. Conduct A/B testing on your exhibition ads to see which perform better for which audiences. Encourage people at exhibitions to engage with you on social media or generate a hashtag to share photos and discussions related to this. When you have a comprehensive marketing plan, everyone’s next steps are clear. This could be in the form of announcing your presence at a more suitable exhibition for your brand. It is incredibly important to remember this plan is an outline and isn’t set in stone. It’s a roadmap guiding you, but there’s still always the possibility that you’ve taken a wrong turn or will reach and obstacle. As long as you keep researching and measuring your goals and results, you will be able to evolve your marketing plan when necessary, be this mid-year, quarterly, or just in time for the next exhibition if you decide a different strategy would produce better results. You want to make sure your marketing plan is driving results. If you don’t see this being the case, it’s time for a refresh. Whether your business is big or small, your purpose should be revenue growth, and without customers you will never see this. Your marketing and in turn your marketing plan are the key components to attracting and retaining these customers. The strategic and time constrained nature of a marketing plan really will help you notice whether you’re seeing results with the strategies you use in the time you require.